WHERE CAN I FIND BMW X5 SUVS FOR SALE NEAR ME? Are you asking yourself, ‘where can I find new & used BMW X5 SUVs for sale near me?’ BMW of Tulsa proudly offers an exceptional selection of new and used BMW X5 Midsize Luxury SUVs for you to browse and test drive in Tulsa, OK.
WHY CHOOSE THE BMW X5? We may not have fashioned the luxury crossover SUV, but with the X5, we’ve undoubtedly refined it. With an impressive range of engine options and luxurious trim levels to pick from, the honors we’ve received from car critics and experts can be summed up in four words: the hype is real. You’re going to love the lineup of optional engine configurations offered on the X5 if you like the selection. The turbocharged 3.0-liter inline 6-cylinder has 300 horses tethered to the X5’s accelerator. Our hybrid version mates a 2.0-liter 4-cylinder to a lithium-ion powered eDrive motor to produce 308 HP of fuel-sipping power. For the road warriors, our 445 horsepower 4.4-liter TwinPower Turbo V-8 is going to get more than just your heart racing. 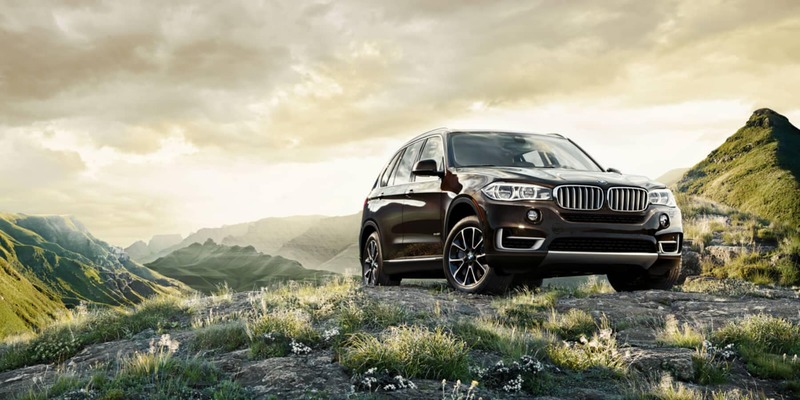 The X5 is practically unrivaled when it comes to automotive luxury conveniences and amenities. Our masterfully designed cabin is a masterful fusion of luxurious technology. At the danger of honking our own horn, if it’s not available in the X5, it has not been invented yet. BMW’s collection of safety awards and top-tier safety ratings is an ever-growing testament to our devotion to automobile safety and security. The X5 is overrunning with passive and active technological proof of our commitment to driver and passenger safety. With the X5, we don’t just achieve the standards of automotive safety; we ARE the standard. Stop by BMW of Tulsa today to test drive a new, used, or BMW certified pre-owned Midsize Luxury SUV in Tulsa, OK. Our team of BMW professionals are ready to help you find the perfect vehicle. Search our stock online, visit our showroom, or contact us to learn more. We look forward to serving you soon!